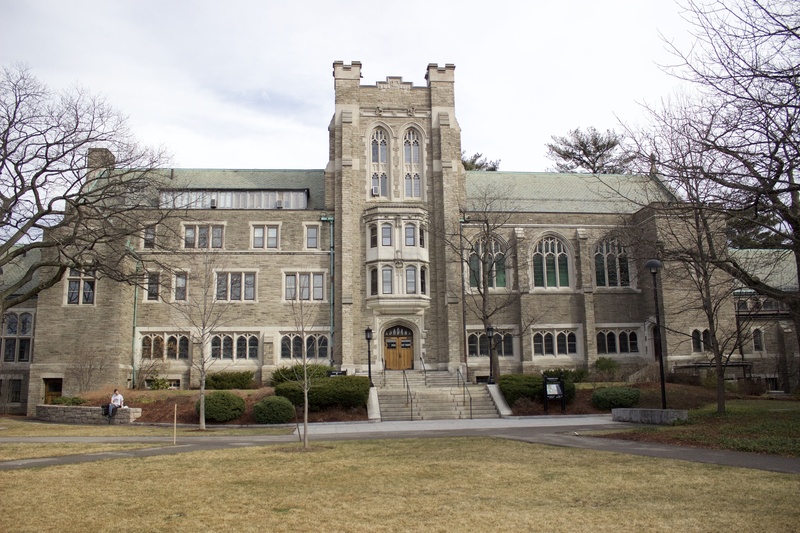 Proposed renovations to Andover Hall will be funded largely by Harvard Divinity School's Capital Campaign. A $25 million donation to the Divinity School will enable a complete renovation of the main campus building, administrators announced last week. Artist and philanthropist Susan S. Swartz and her husband, investor James R. Swartz '64, have donated the largest gift in the school’s 200-year history. Susan S. Swartz is an impressionist painter who serves on the Divinity School’s dean’s council. James Swartz is the co-founder of the global venture capital firm Accel. Both have pursued philanthropic initiatives in the past, including previous donations to the Divinity school. 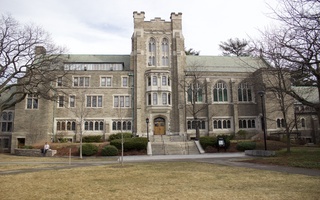 Hannah Peters, the associate dean for development and external relations at the Divinity School, said the gift will mainly be used to fund the Andover Project, a long-desired renovation of the school’s main campus building, Andover Hall. “It is for our campus community, for projects that have been our priorities for a long time, and the gift catapults them into action,” Peters said. Executive Dean of the Divinity School Patricia M. Byrne said the goals of the project include updating multimedia facilities, increasing levels of energy-efficiency, and creating new spaces for students and faculty. Though the school provides plenty of events and other opportunities for conversations, according to Byrne, there is not yet a lot of public space where students can engage with each other after class. “We’re trying to create new gathering spaces for the students and connect it, visually and physically, to library spaces, and the cafe space, and public gathering spaces, so that we have a community structure of the campus,” Byrne said. The Divinity School has been a leader of sustainability efforts among the Harvard schools, Byrne said. It achieved LEED Gold certification in 2009, which includes multiple indices related to energy, indoor environmental quality, and water efficiency. “We will be able to revise this treasured building as an energy-efficient building, giving it new and extended life,” Byrne said. “This is a signal moment for HDS, and we are all very grateful to Susan and Jim for their remarkable support,” University President Drew Faust said in a Divinity School press release last week. Faust will step down from the University's top job in 2018 after over a decade in the role; Harvard recently announced Harvard Corporation member Lawrence S. Bacow will serve as her successor. 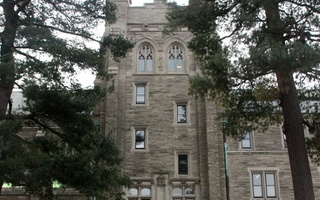 “We are thrilled to be their partners in ensuring that this unique and historic building will become an innovation lab for the future of religious education and ethical leadership,” Swartz said. —Staff Writer Jingyao Zhao can be reached at jingyao.zhao@thecrimson.com. The Harvard Divinity School announced a $10 million gift from James R. Swartz ’64 and former Divinity School artist-in-residence Susan Shallcross Swartz last Wednesday. The donation—one of the largest in the school’s history—will fund the creation of the Susan Shallcross Swartz Endowment for Christian Studies, supporting new professorships, fellowships, and programming at the Divinity School.